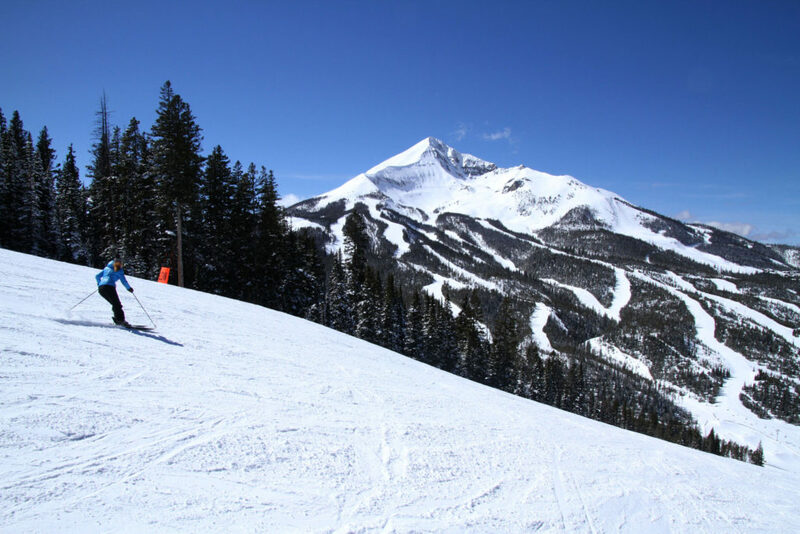 Acres 5,800 acres with 300 named trails, 110 miles on three separate mountains. 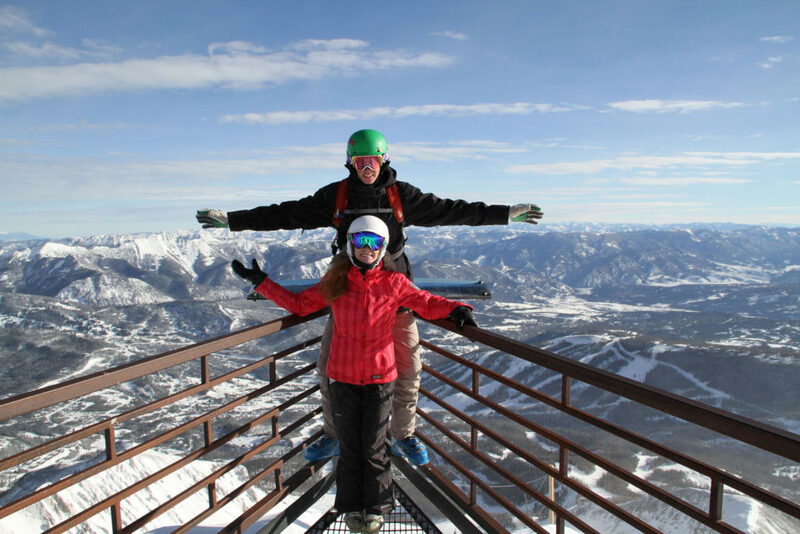 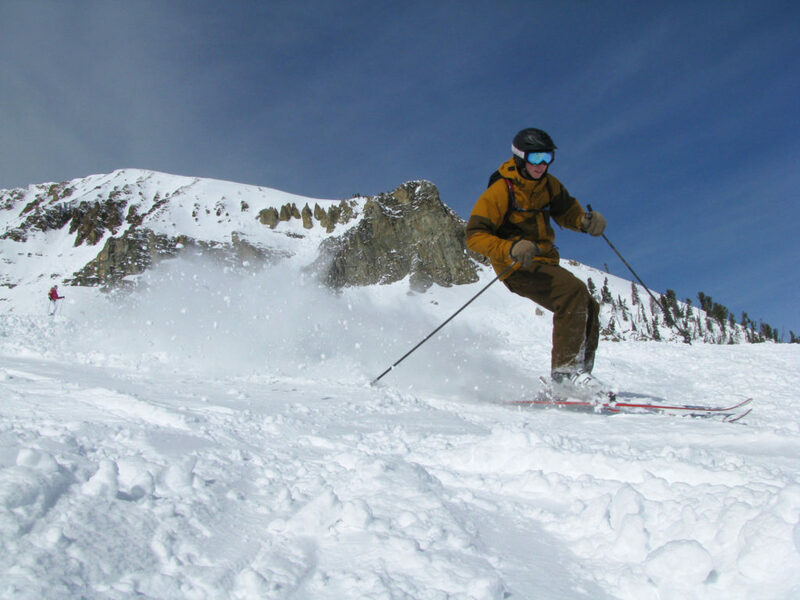 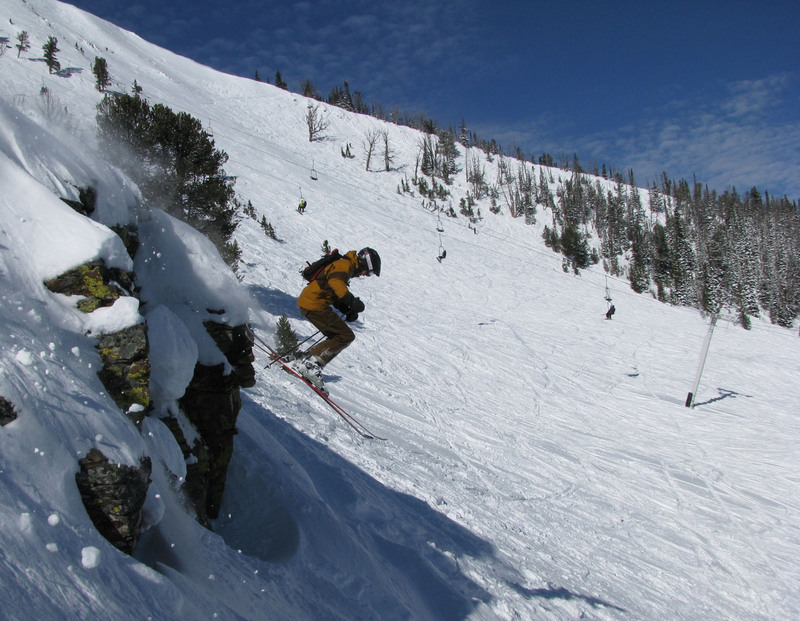 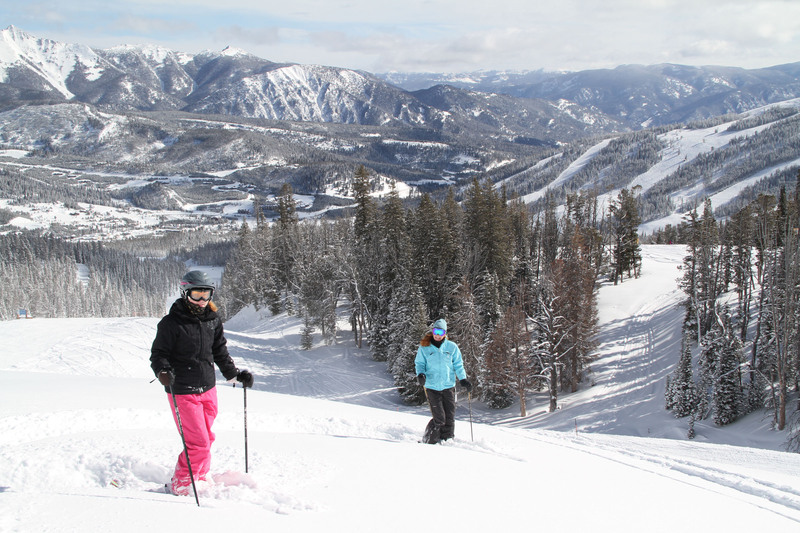 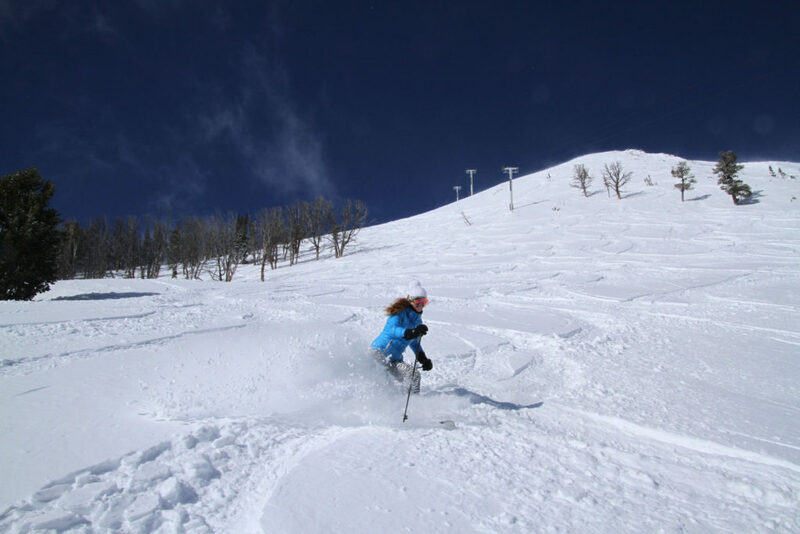 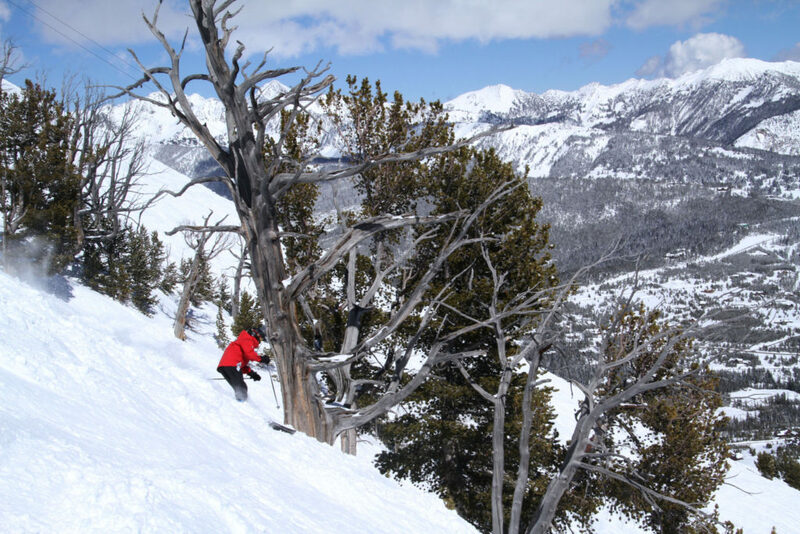 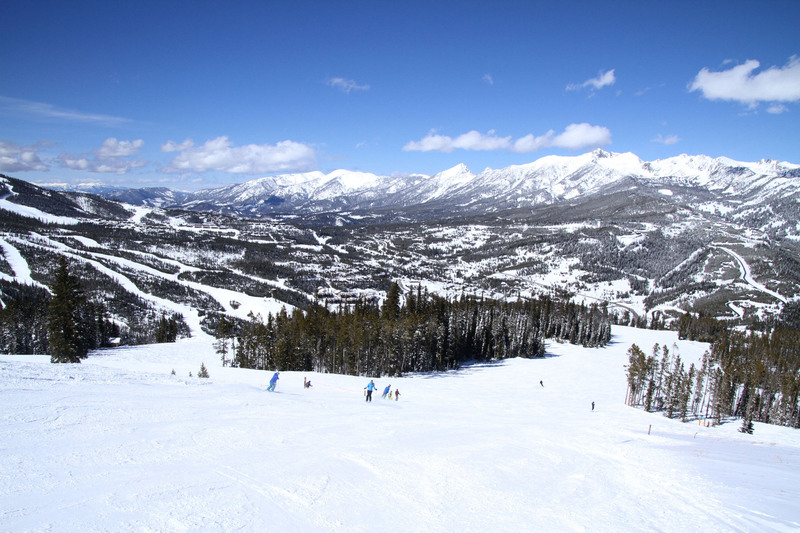 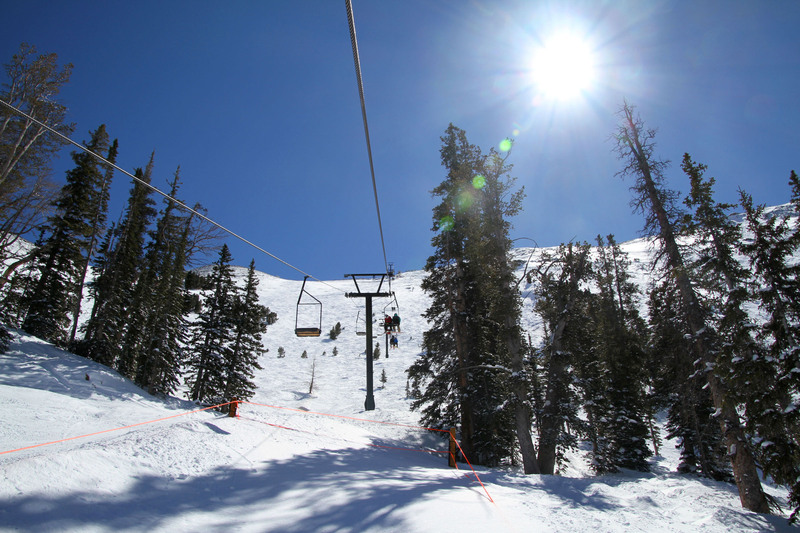 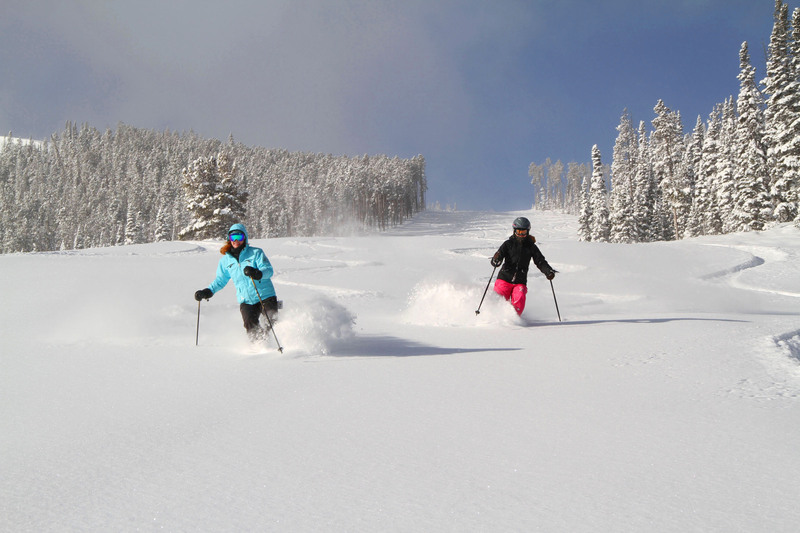 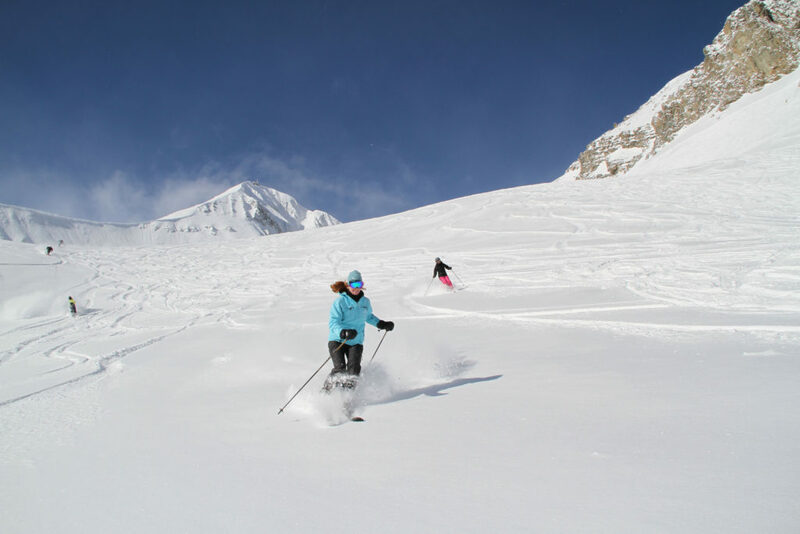 We don’t toss around “favorite ski resort” lightly, but Big Sky is definitely high on the list. 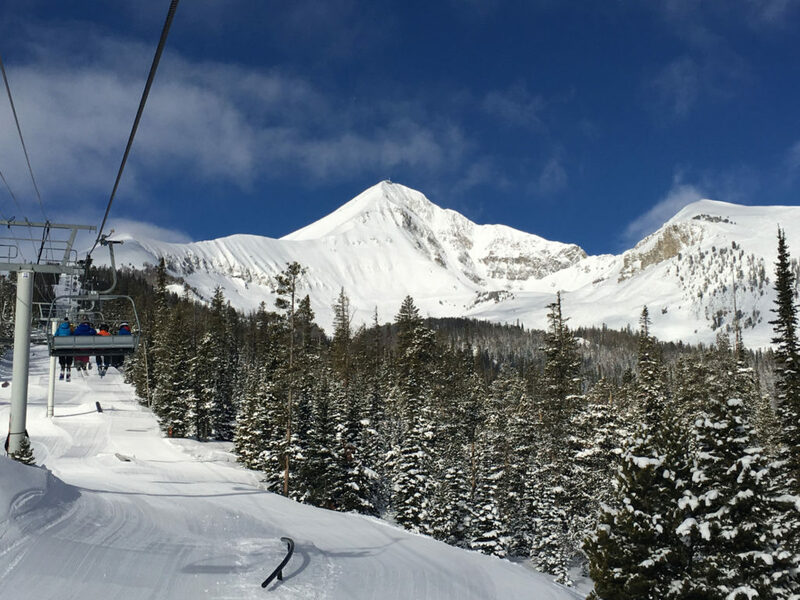 We love Big Sky for the magnificent 11,000’ mountain, extraordinary big sky scenery, and tremendous varied terrain – 5,800 acres of it. 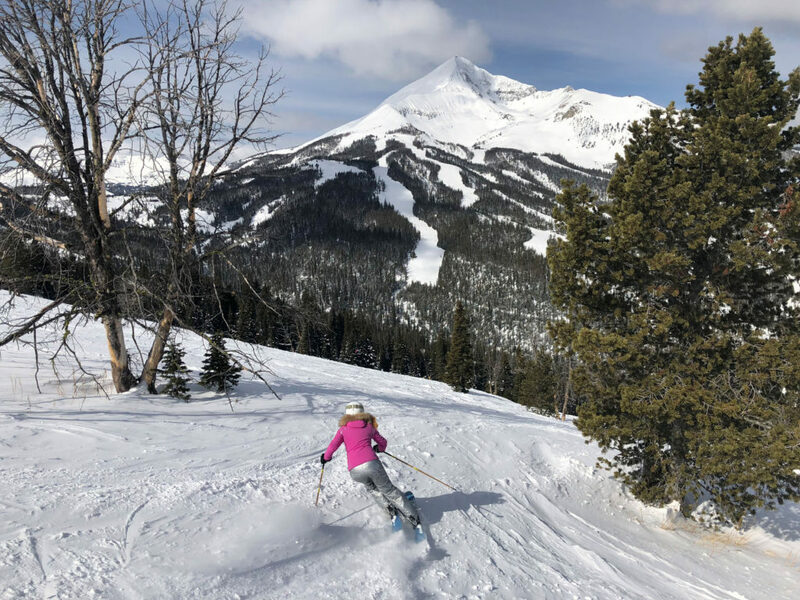 Big Sky is relatively easy to reach, an hour from the beautiful Bozeman airport up a scenic canyon road along the fly-fishing mecca Gallatin River. 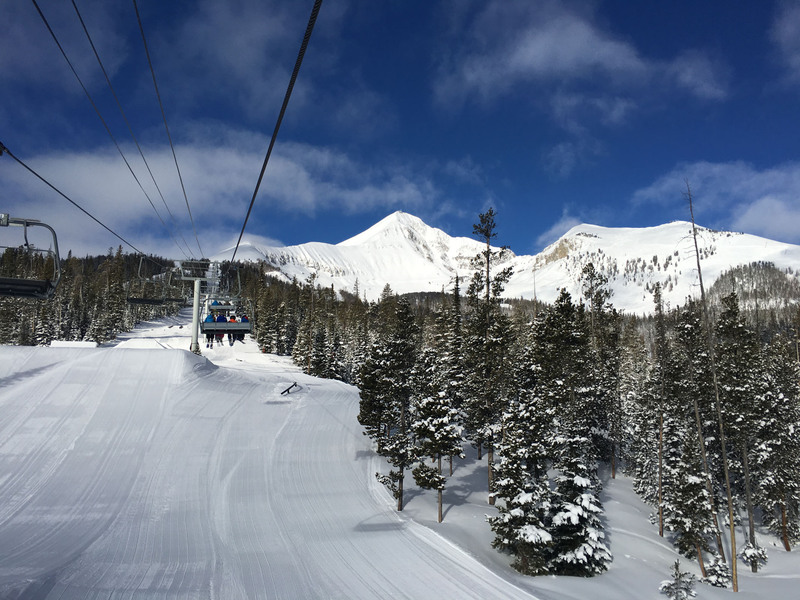 Big Sky is among the biggest skiing in America with 34 lifts, 4,350’ vertical, on seven unique faces, truly terrain for everyone. 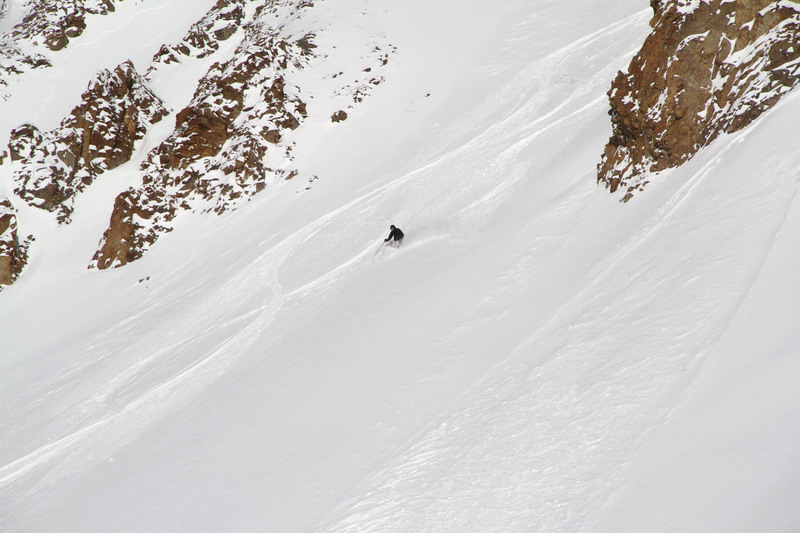 Everything from very edgy chutes steeps and bowls of the Lone Peak Tram from 11,166’ to long easy cruisers off the Swift Current, Six Shooter and Southern Comfort lifts. 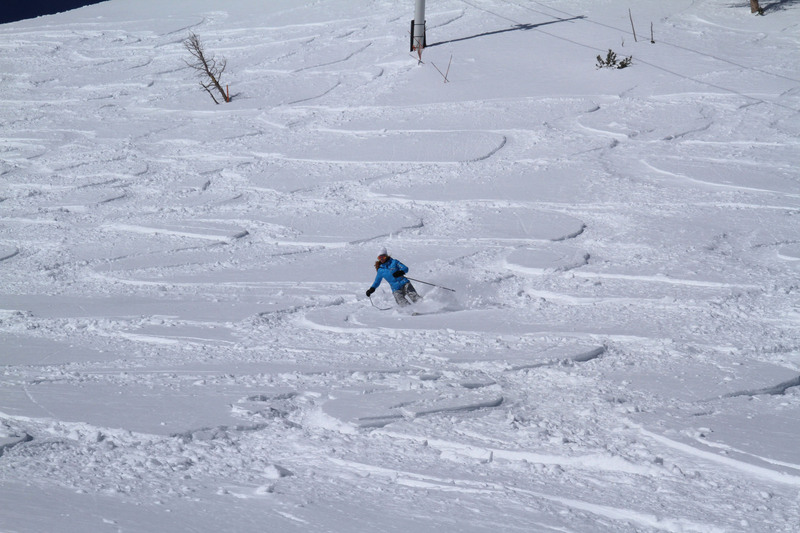 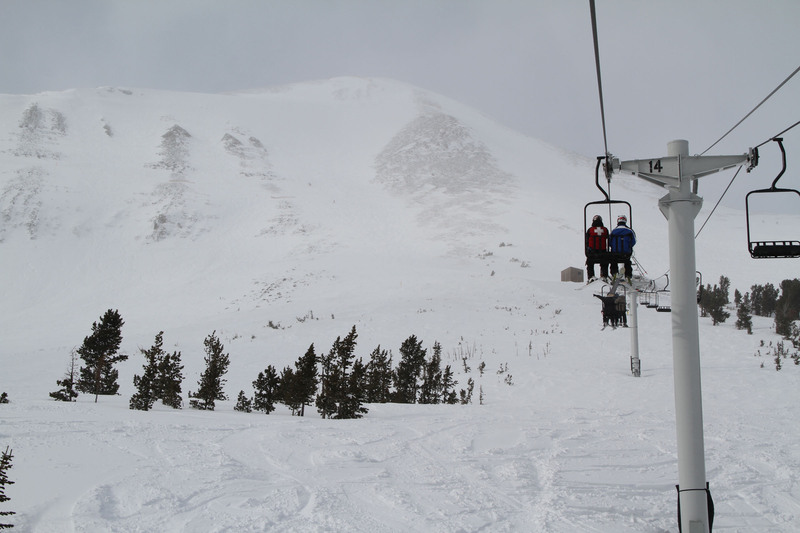 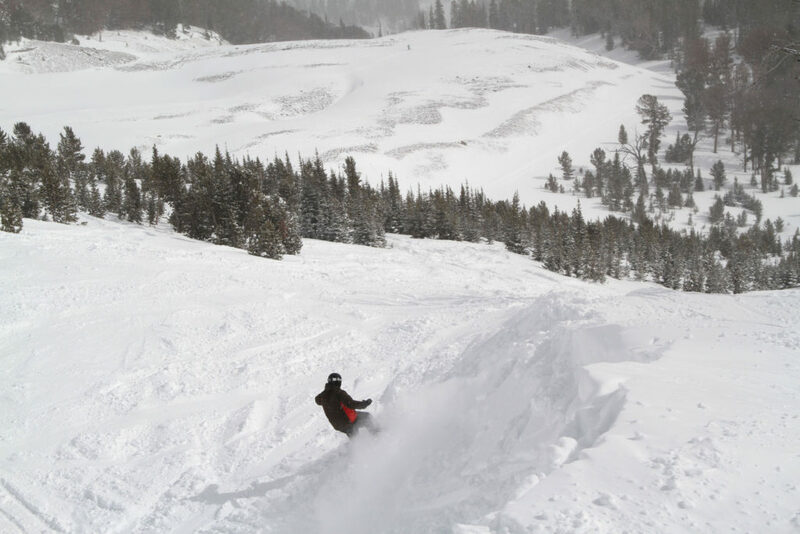 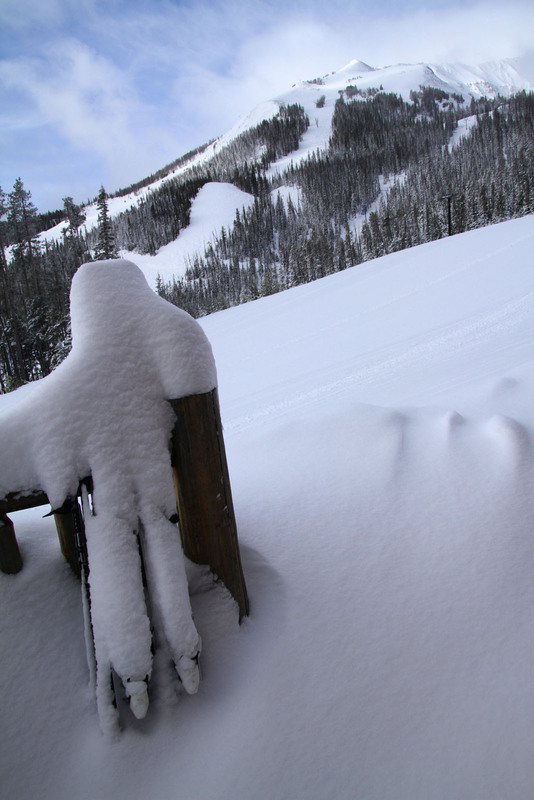 Big Sky has more terrain than Vail at 5,512-acres, over 300 trails. 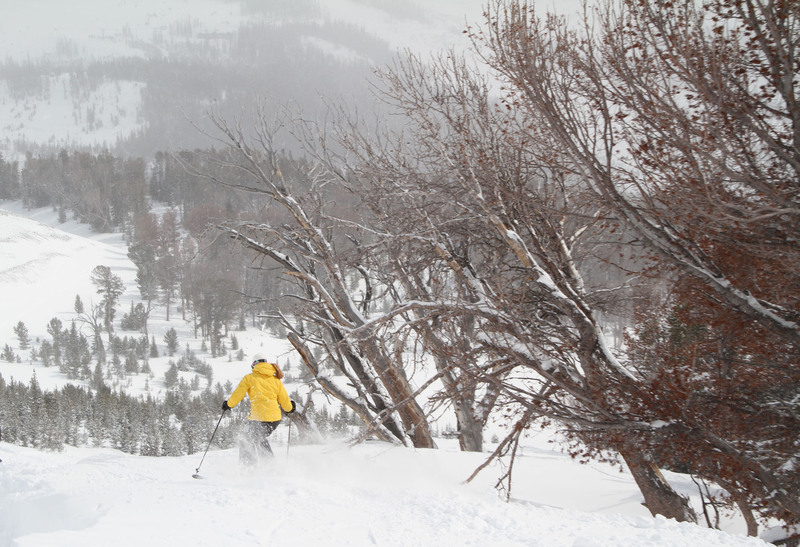 Not technically as much as Park Citys’ at 7,300 acres but it skis bigger. 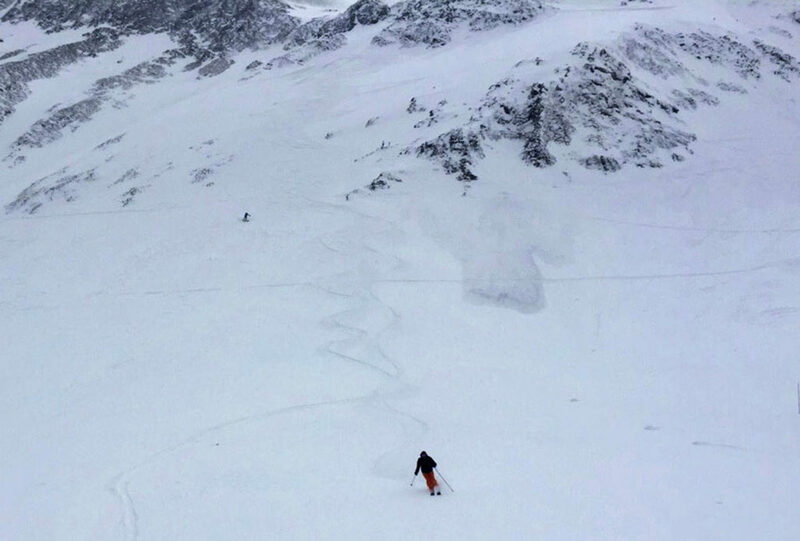 Whistler Blackcomb at 8,171 still has the most terrain in North America. 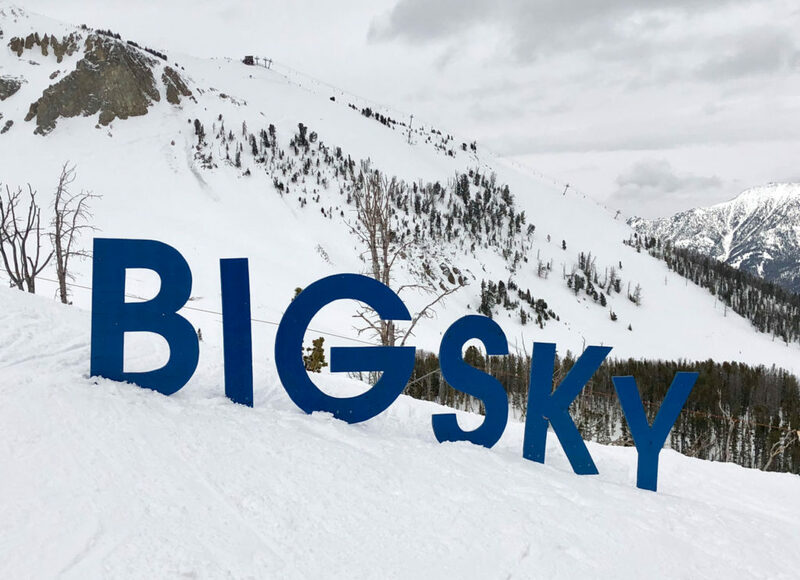 For years Big Sky avoided the crowds but it was only a matter of time before its discovery. 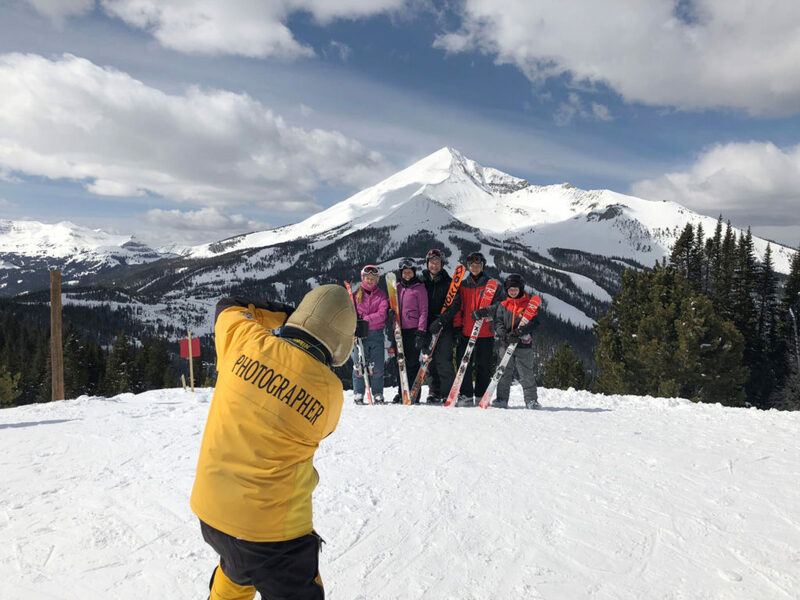 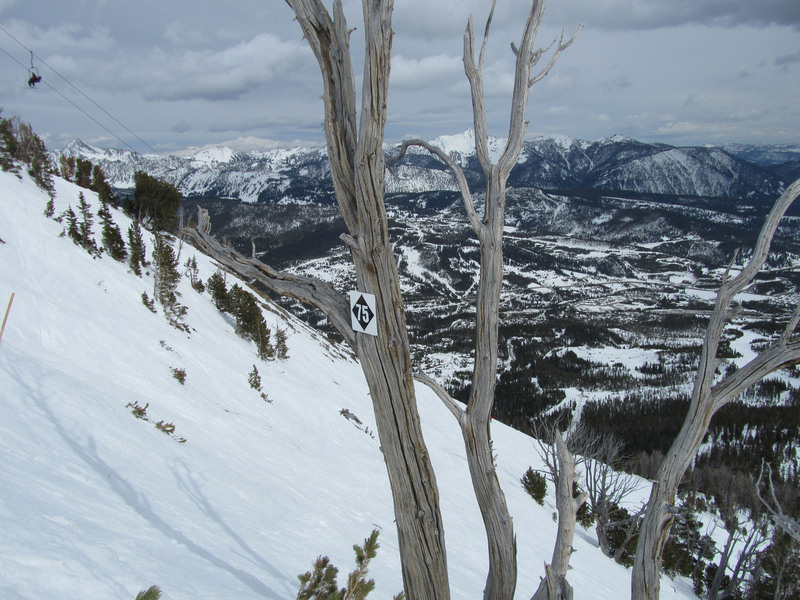 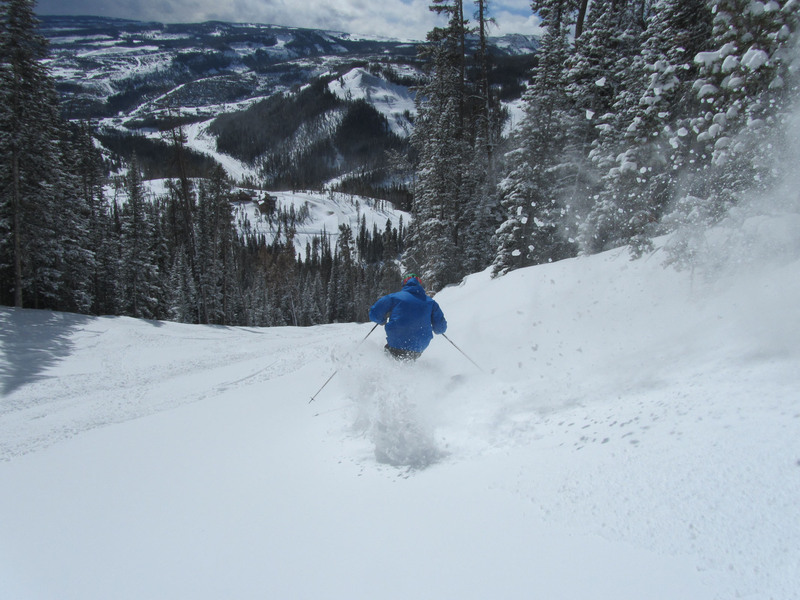 You can still often find your #selfie skiing down the long Elk Park Ridge, Challenger’s steep pitches, or Moonlight’s great groomers of the Six-Shooter six-pack chair but it is being discovered. 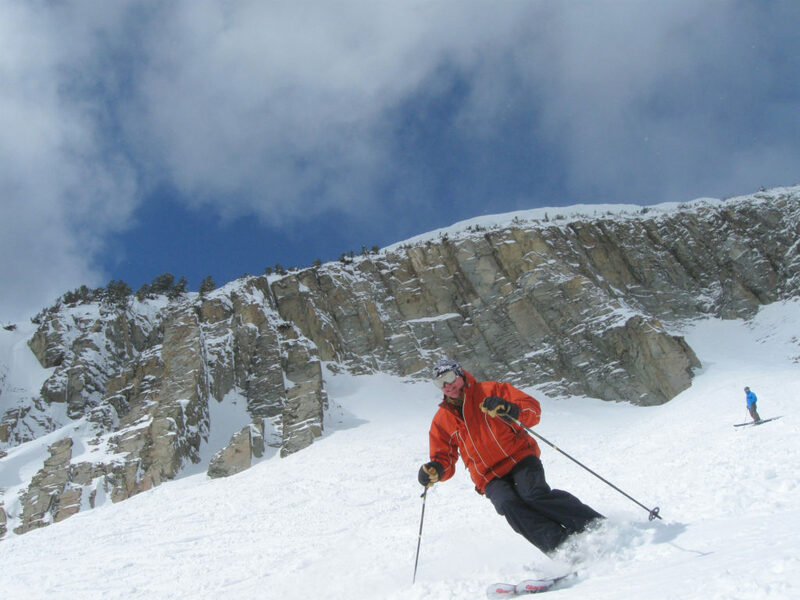 Skiing off 11,166’ Lone Peak, served by a 15-passenger Tram, you will be wowed by the Grand Teton views and the steep off-piste terrain, nothing groomed, all black diamond and serious. 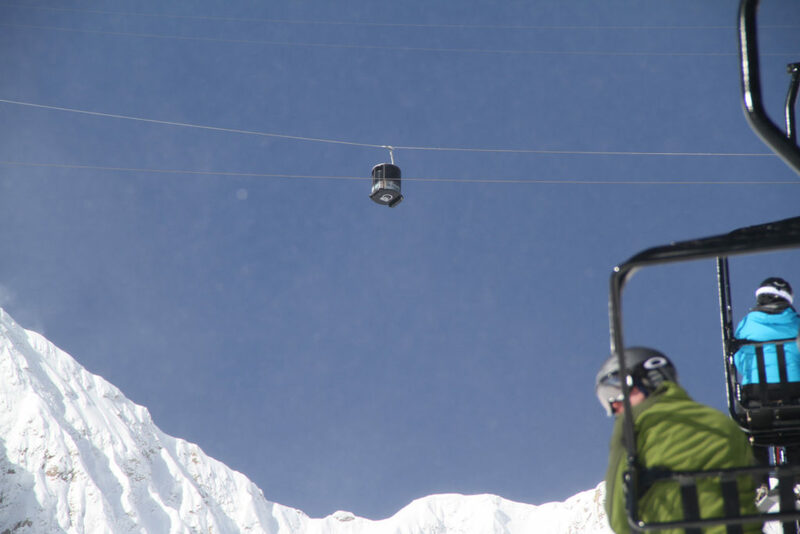 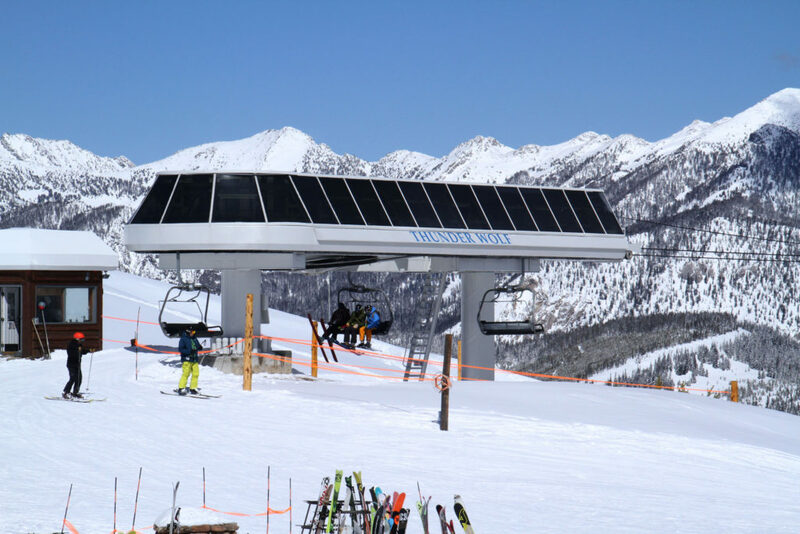 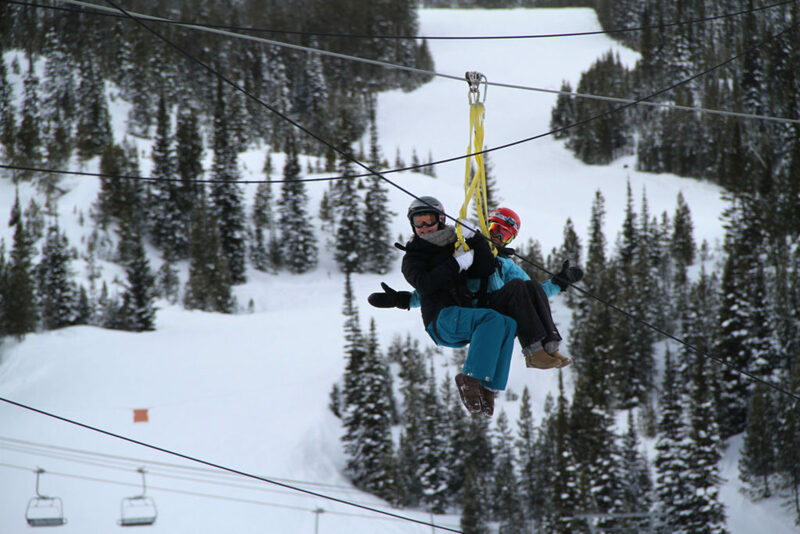 John Kircher of Boyne proposed this bold lift placement in 1993, he helicopter skied off Big Sky and envisioned a tram to the top, which opened to raves in 1995, accessing expert ski terrain unlike anything anywhere. 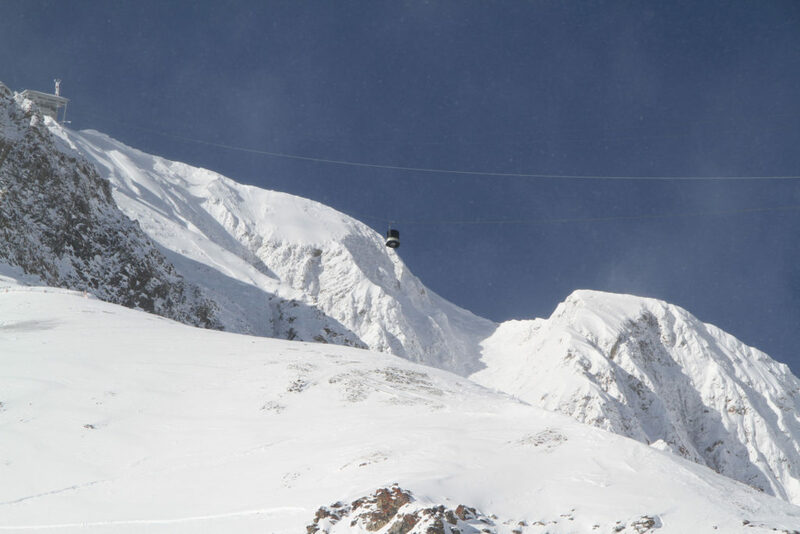 Skiing Big Sky’s Lone Peak is like heli skiing without the price tag or skiing off-piste in the Alps. 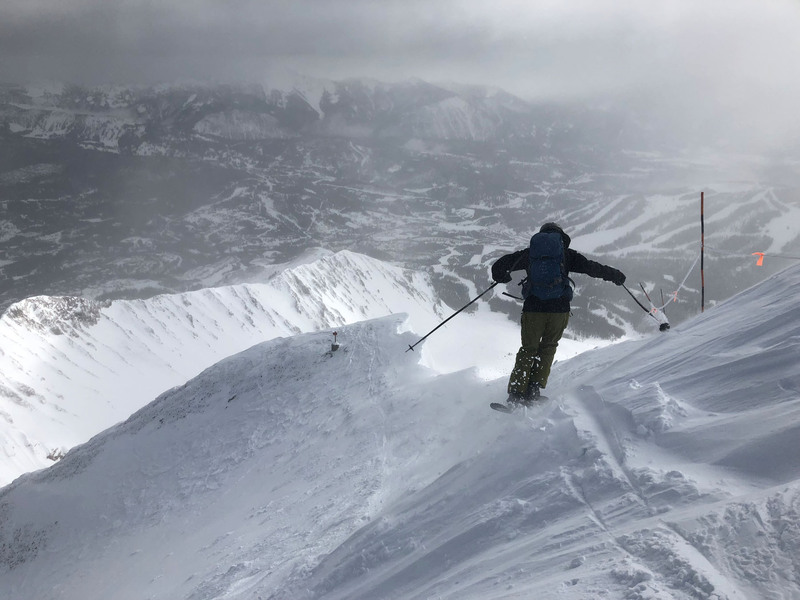 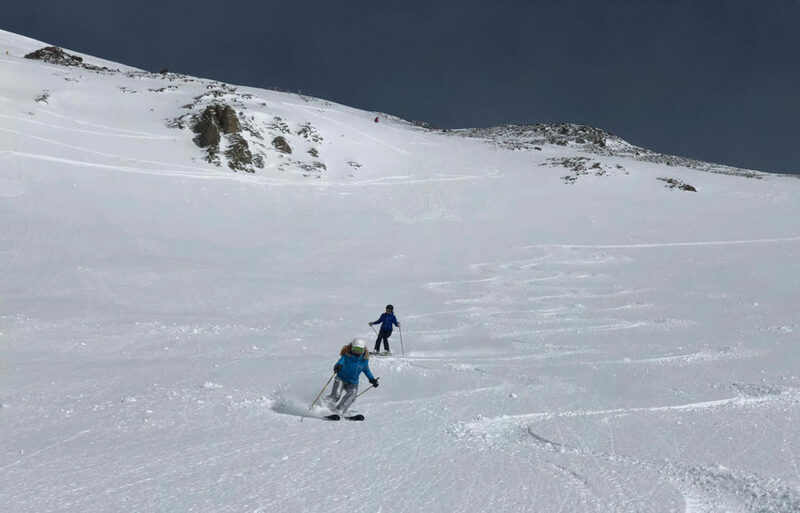 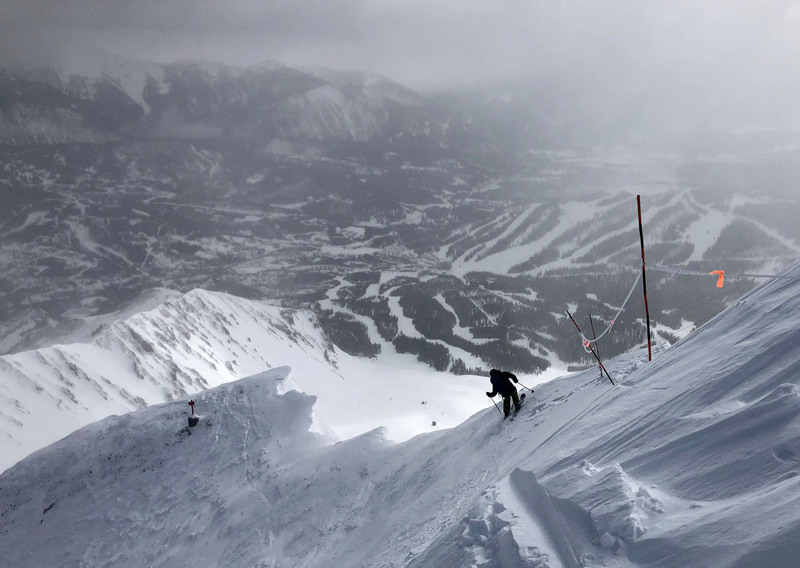 Sign Outs for the Big Couloir and North Summit Snowfield are with patrol permission only – yes, its that steep and gnarly. 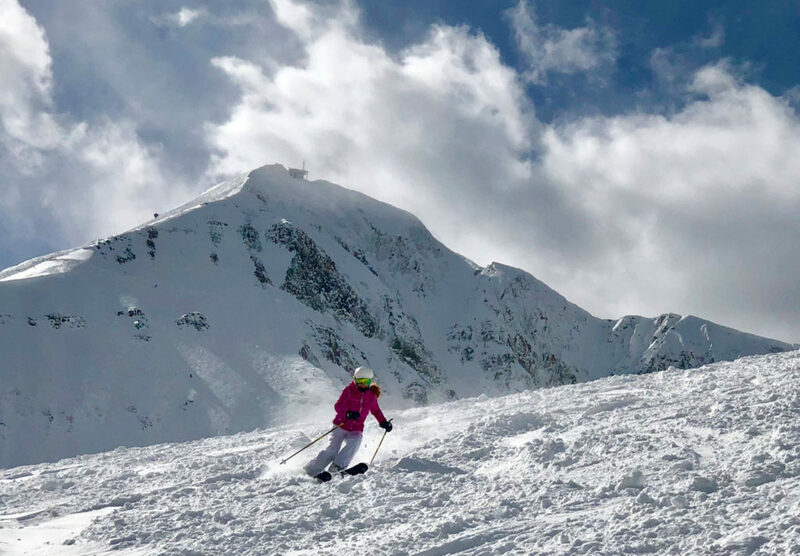 Warning: Big Sky locals love their tram laps, so be prepared to wait in a 30-60+ minute lines, not to mention the skier-cross style frenzy as locals line up their skis at 8am for the 9am opening. Just the beginning of a two lift/run race to load first tram. 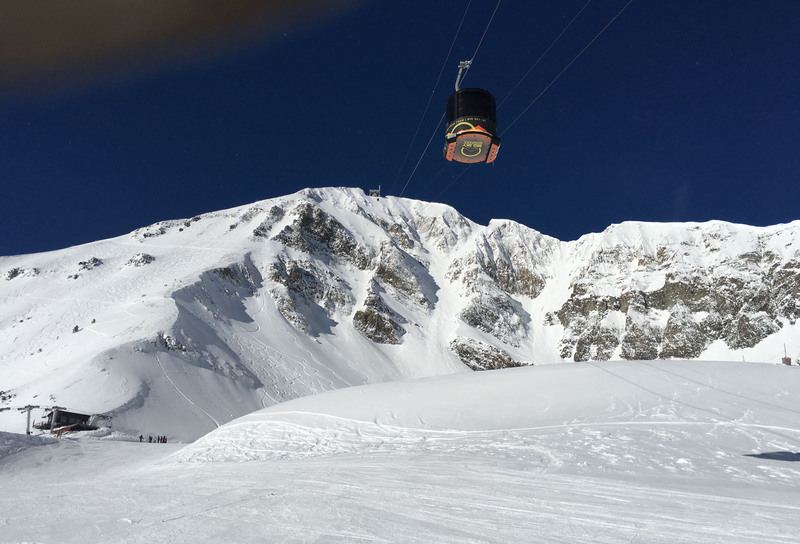 You can take a sightseeing round trip up and down amazing tram, leaving your skis at the base, getting off the tram at the summit for a #selfie, with a scenic ride back down. 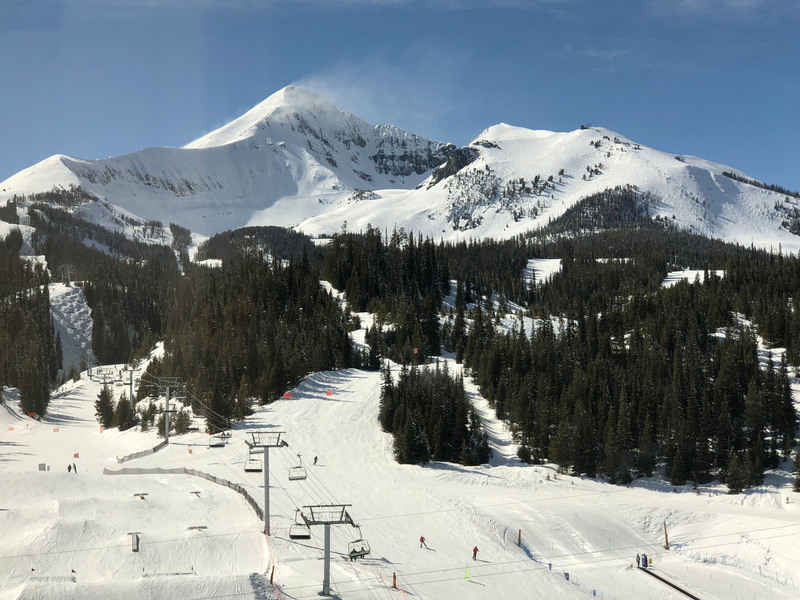 The bold and beautiful vision of Big Sky started with Chet Huntley, NBC anchor, in the 1973 – this was his luxury ski playground. 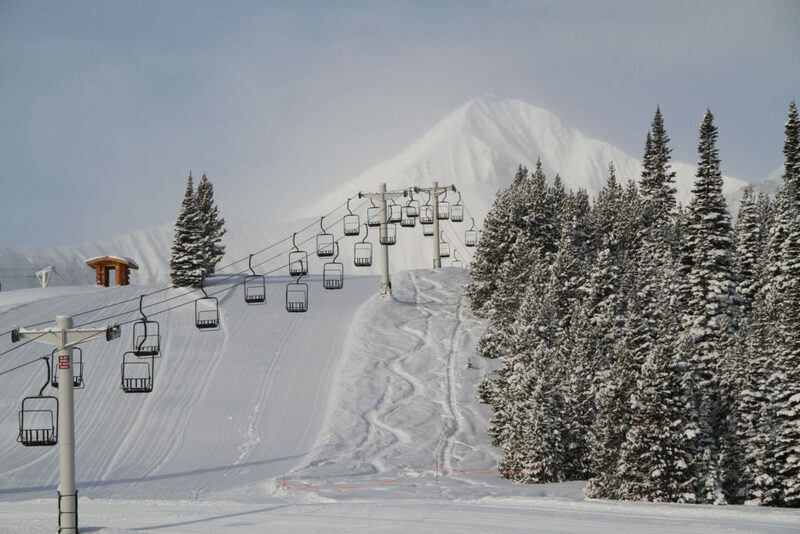 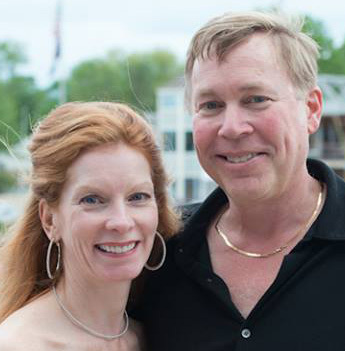 Today it is a Boyne resort, expanded with the purchase of neighboring Moonlight Basin, and Spanish Peaks with a loan from Yellowstone Club’s owner – CrossHarbor Capital. 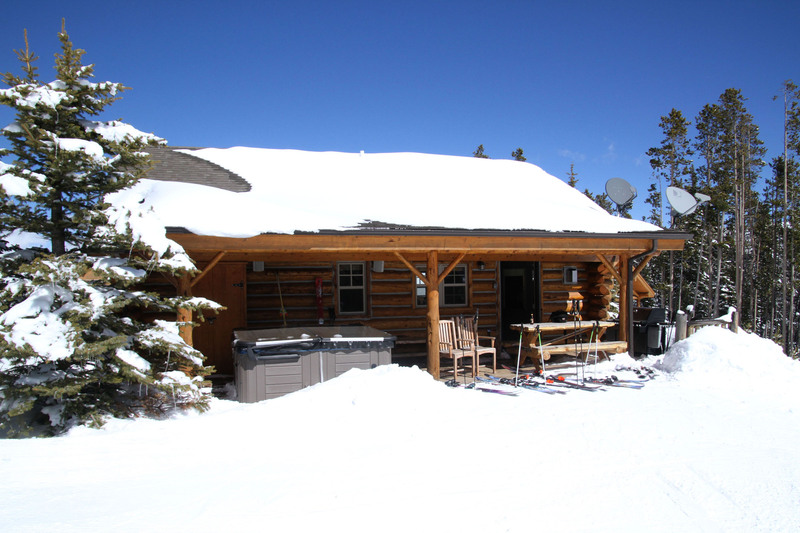 Oh, did we mention Big Sky abuts the billionaires’ private ski club Yellowstone Club? 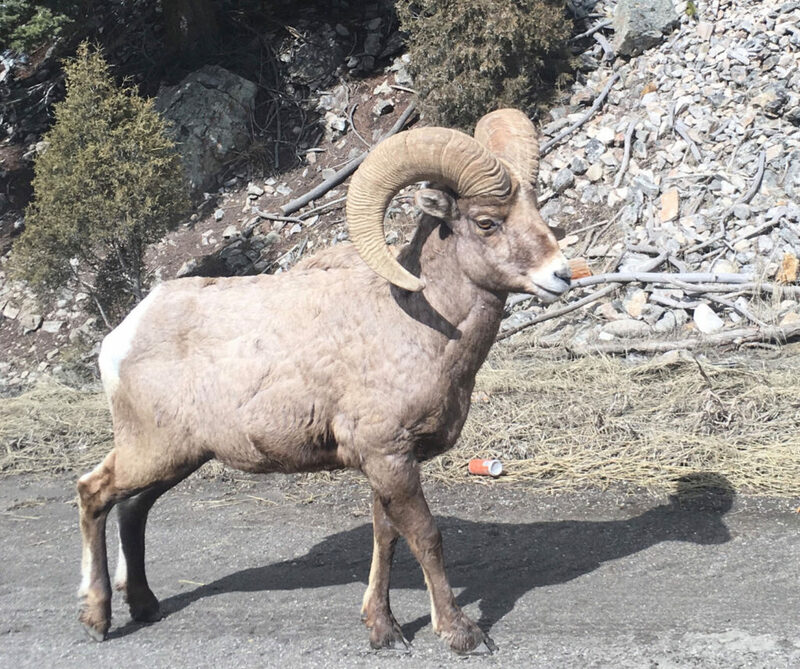 Cool neighbors. 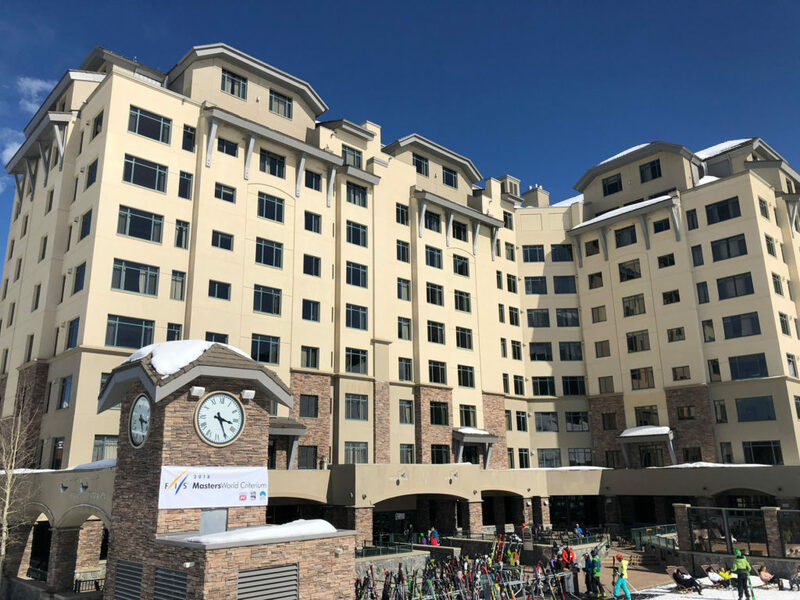 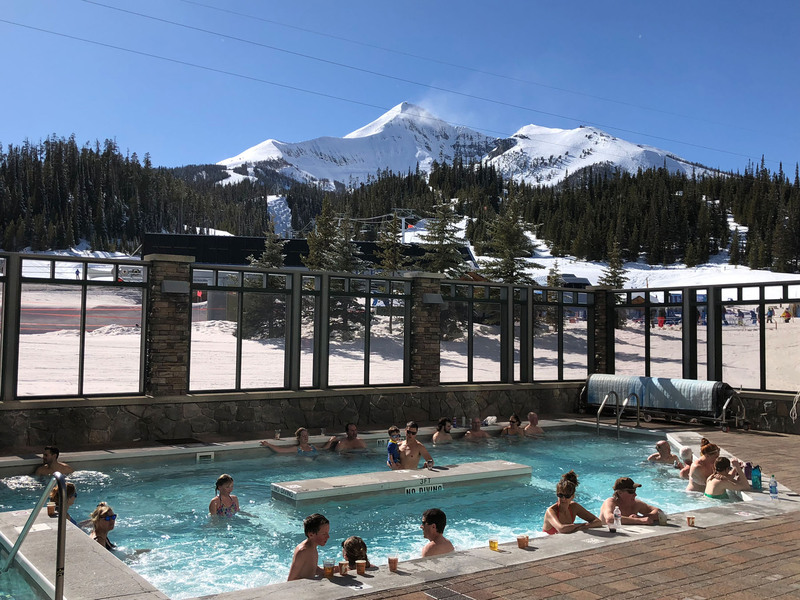 Stay at Big Sky’s Summit Hotel – its four-star, slopeside, with sumptuous western décor, an outdoor heated pool and spa, ski valet, all steps from Big Sky village and the ski lifts. We love Big Sky’s Summit Hotel, from the cowboy clad bellhops to the Carabiner bar for après ski. 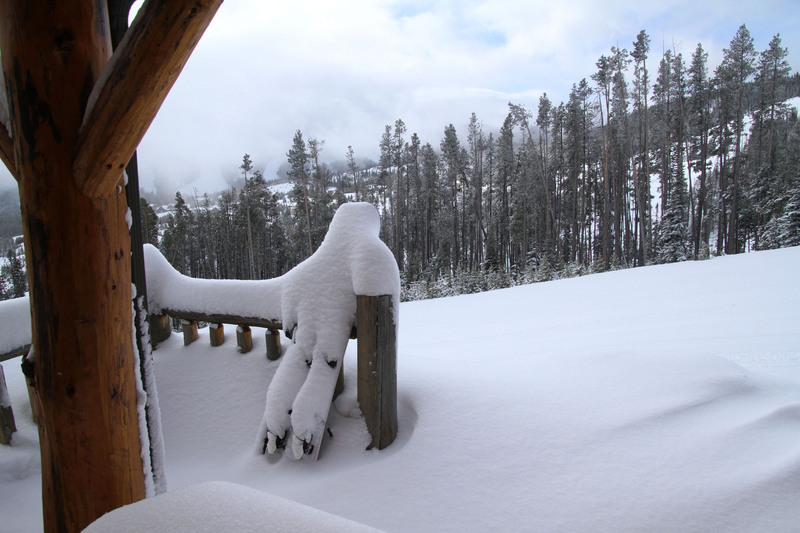 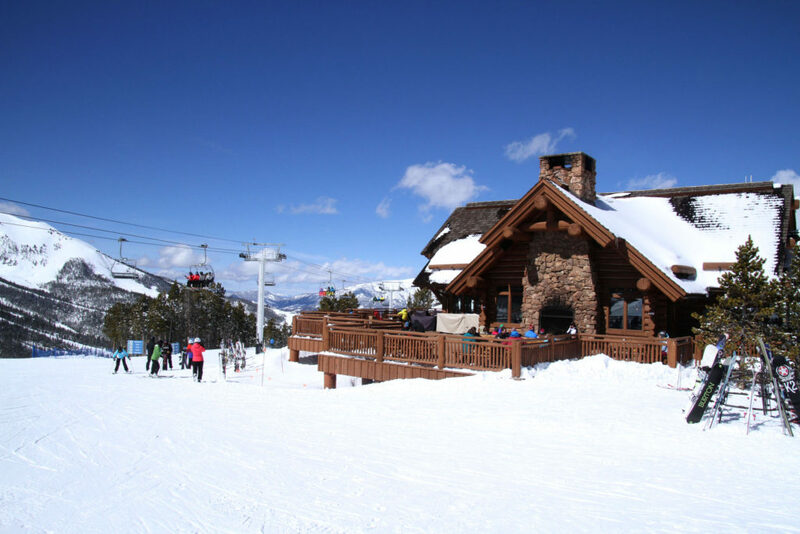 For luxury on mountain living Montana style, stay in chalet or private luxury ski home at Moonlight Basin, for a regal rocky mountain setting, wildlife spotting and fresh snow at your doorstep for ski in ski out daily freshies. 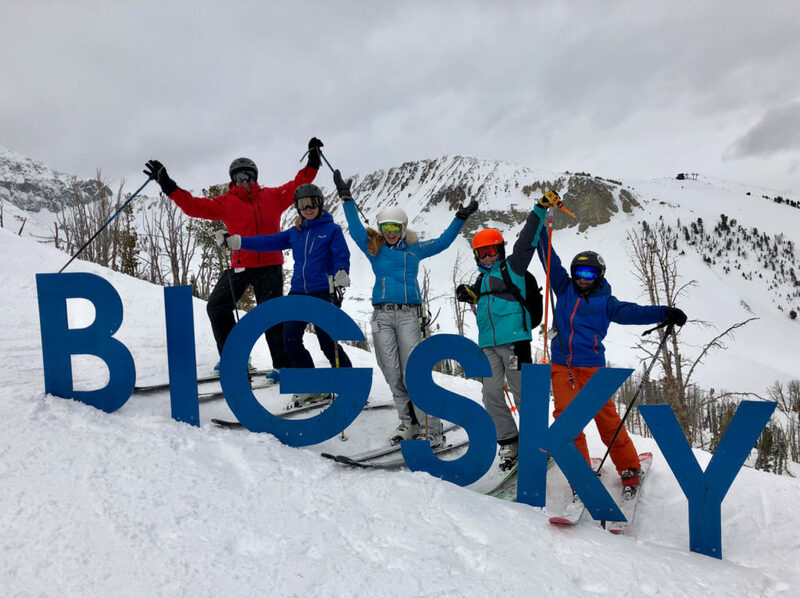 Big Sky’s nightlife isn’t off the hook – Montana fly fishing pun. 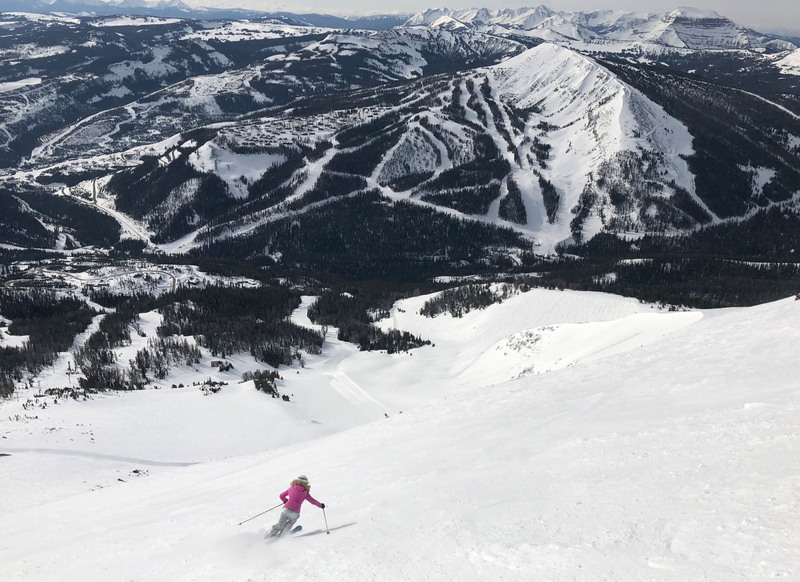 But you go to Big Sky for the snow, the skiing, the views, a spa and a nice bison steak, at The Summit, Horn and Cantle or Bucks T-4 down the mountain road. 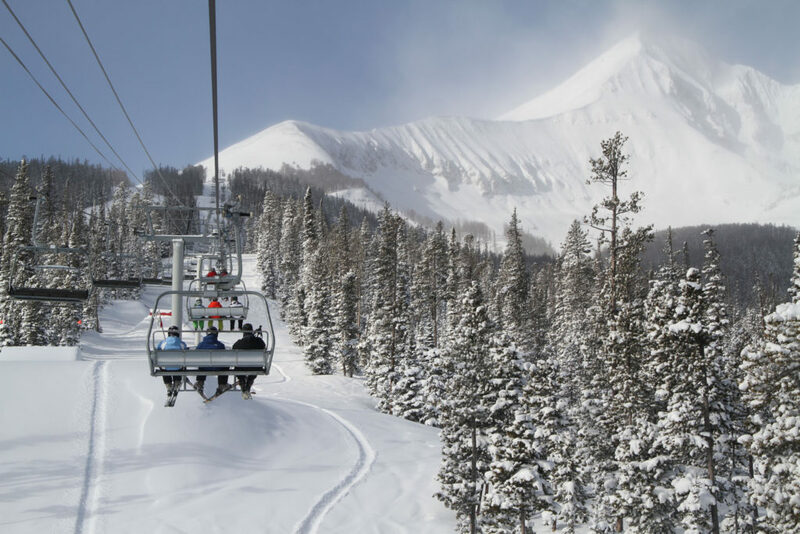 See our top picks for Big Sky on mountain lunch, après ski drinks at the bar, and dinner. 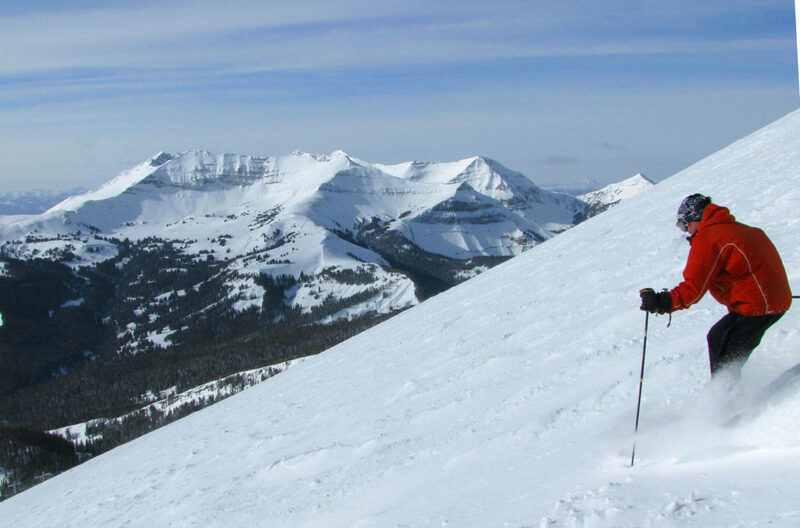 So there is your luxury ski vacation recommendation in Montana, all mapped out. 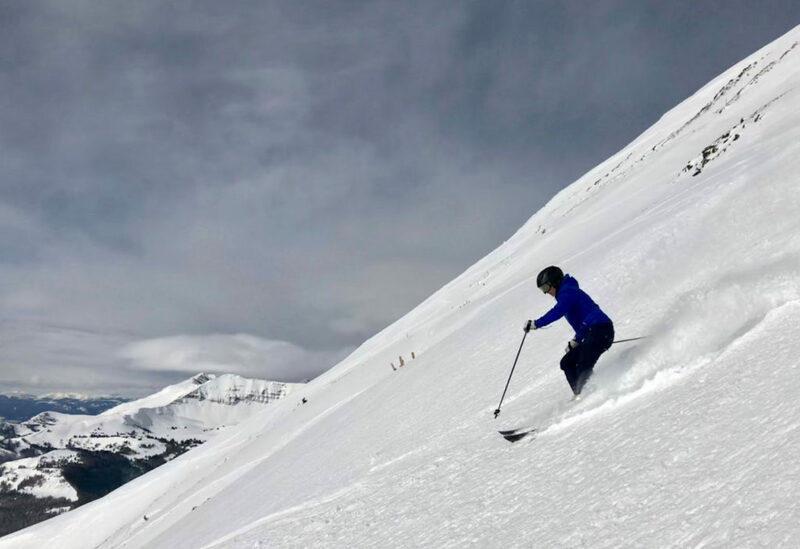 If you are looking for the most luxury private ski club, see our review of the exclusive members-only Yellowstone Club next door to Big Sky, Moonlight Basin and Spanish Peaks are also private clubs at the resort. 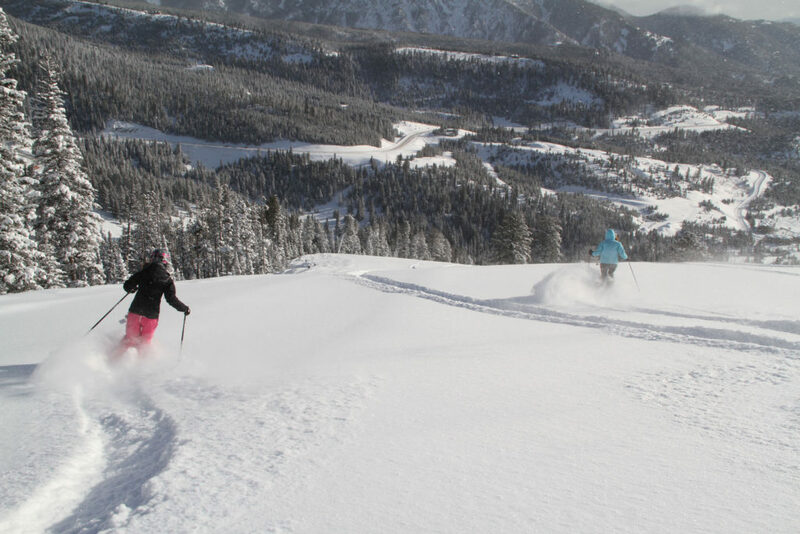 Big Sky was once a secret, but for obvious reasons the word is out on this big skiing state and its biggest ski resort.